Here is your ultimate Myanmar travel guide with some of the best places to visit in Myanmar – and with a route that you can follow in just sixteen days – or you can take your time and do it over twenty-six days as I did. Myanmar, or Burma as it is also known, has been high up there on my list of countries to visit ever since I was a child and since I learnt that my grandfather was fighting in the jungle during the war. I’m very pleased to say that Burma lived up to all of my expectations and I’m already making plans to return. I like to travel quite slowly, absorbing the atmosphere of a place and connecting with local people so I didn’t cover quite as much ground as I had originally hoped to do so on this trip to Burma, but that’s not a problem because it gives me the perfect excuse to return and to explore the less touristic south of the country. Before I bring you what could possibly be the most perfect Myanmar travel guide ever, and especially one for backpackers or travellers on a budget, let’s get a few facts straight. Everybody from Myanmar that I spoke to in the country told me that it didn’t really matter whether I called it Burma or Myanmar ……but they all preferred to refer to their own country as Myanmar. And one reason for this is because the name of Myanmar reflects the diversity of the ethnic groups. Burma is made up of far more than just the Burmese. There are 136 different ethnic groups and while there are different reasons why many countries around the world do not recognise the renaming, for me, if every person that I spoke to preferred Myanmar who am I to question them? Myanmar is emerging from years of military rule and is transitioning to a democracy but this process is being hindered by violence. Some of these conflicts date back many years and sadly for the people it seems to be difficult for them to break out of this cycle. There is no doubt that there is a major crisis, some say genocide, which is ongoing in the western state of Rohingya and there are other areas that are totally out of bounds to foreigners or which are tightly controlled (I will cover the background to the different conflicts and history in another post), but there can be no doubt about the absolute delight from the Myanmar people themselves that foreigners are finally allowed to visit their country and I lost count of the number of selfies that I featured in and just about everybody is curious about visitors. Hell yes! Of course I might be proved wrong at any time in the future, but when I was in Burma I never felt unsafe or unsupported. The population of Myanmar are genuinely curious, friendly and honest and they have a refreshing naivety about them. Many of the people speak English and I am pretty sure that if I were to leave my wallet on a table or my phone in the back of a taxi, that the majority of people would do their best to return it to me. Your perfect Myanmar travel guide. Begin your trip in Yangon. I recommend a minimum of 2 nights in Yangon. I started my trip by flying into Yangon, formerly known as Rangoon but if flight times and prices are better and/or cheaper you can start this tour in Mandalay. If you do begin in Mandalay, pick up my route and head north west to Hsipaw and then after taking the train to Pwin Oo Lwin complete the remainder of the route in reverse (Bagan, Inle Lake and Yangon). Yangon can’t fail to stimulate every one of your senses and it’s a great introduction to the variety and diversity of Myanmar. This is probably the most chaotic place that you’ll encounter within Myanmar so if you can cope with Yangon you can cope with anything! Yangon reminded me in parts of India and also of many cities in South America. In places it was down at heel with street markets, rubbish on the streets and filthy water running in the open drains, but it also has a vibrant energy with new businesses springing up and entrepreneurs driving the way forward. Depending on your arrival time from the airport I would suggest that you begin by exploring the local area on foot; maybe try some of the street food and do check out the decaying colonial buildings. Yangon is also your opportunity to pick up anything that you may have forgotten to bring with you with its state of the art shopping malls as well as traditional night markets. Whatever you do, do not pass on the opportunity to explore the Shwedagon Pagoda, and for a bonus, time your visit to end at sunset when its golden domes dazzles in the lights. If you have extra days in the city I would suggest that you take the circle line train which takes three hours to complete its slow circuit of Yangon and will cost you less than a dollar. From the train you will get a glimpse into the backyards of the local people and you will see the vendors selling noodles and snacks on board whilst having to shuffle up on the seats as the passengers stream on at the various stops. Another great way to spend half a day in Yangon is to take a walk around the large Kan Daw Gyi Lake with its replica palace that houses a restaurant. If you travel as slowly as me you could also take a walking tour of the city and see some more of its hidden gems or you may prefer to relax with a Burmese foot massage which will set you up for the rest of your Myanmar trip. I really enjoyed the tasty Myanmar cuisine, especially the tea leaf salad and I was very happy to dine at a not-for-profit restaurant that helps disadvantaged people get a leg up into the hospitality trade in Yangon – the LinkAge Training Restaurant. When it’s time for you to move on you can catch the night bus to Inle Lake. I stayed at The Little Monkey Hostel which is in the busy China Town area. This new hostel is kept spotlessly clean and the staff can also arrange day trips out of the city for you (for example to Bago). You can also sample traditional Myanmar food each day at breakfast – the cost of which is included in your stay. For the latest prices and to book your stay, click this link. Hopefully you will have got some sleep on the night bus to Inle Lake. The roads can be extremely bouncy and the going mostly slow, however all of the night buses that I took were driven competently and were quite comfortable with reclining seats, water, toilet stops and a blanket to counteract the fierce air con. You can take the time to rest if you need to do so today after your night bus ride or, if you are feeling bright and breezy you can ride a bicycle around the small town of Nyaungshwe. My recommended hostel (see below) lends out free bicycles so you can explore to your heart’s content. Cycle out to the teak pagoda with its little alcoves that contain hundreds of small dolls or you can cycle or take a tuk tuk to the Red Mountain Estate Winery up on the nearby hill for a wine tasting session. Cycle a bit further and you can walk out along the teak bridge and hire a local canoe to paddle you around one of the floating villages. It sounds a bit cheesy but this was actually one of the highlights of Inle Lake. Unlike the orchestrated fishermen on the lake at dawn, here we floated silently past real families getting on with their lives. Washing clothes, bodies, hair and dishes in the lake and tending their vegetables on their man-made floating veggie patches, it was fascinating to see this community go about its work. You should certainly do your best to catch the traditional puppet show one evening which is performed by a true enthusiast. Mr Aung makes all of his own puppets and actually dances behind the screen whilst he manipulates the puppets. This traditional craft was outlawed for many years under the military regime and it is a testament to Mr Aung that he has managed to continue. Set your alarm for an early start and rise before dawn to take a boat ride out onto Inle Lake. Breakfast will usually be organised for you either in a restaurant or onboard, although you can go out later in the day if you are not bothered about catching the sunrise over the lake. You’ll see the iconic fishermen who paddle using one leg and you will no doubt have the opportunity to visit a lotus weaving centre, a silversmith, wood carvers and a local market as well as many other small tourist hubs. There may even be some Padaung women who wear metal coils around their necks weaving. When your time here in Inle Lake is done I suggest that you get another night bus – this time to Bagan. I stayed at the Song of Travel hostel where all the staff were very friendly and helpful, and like The Little Monkey Hostel in Yangon, beds are comfortable self-contained pods – Click here for up to date prices and to book your stay at the Song of Travel. An early start to see the dawn is a must while you are in Bagan: set out in the dark to find a good spot to watch the sun rise and the hot air balloons float over the plain; or you can take your own hot air balloon flight for a bird’s eye view. If you want to get out of Bagan take a trip to Mount Popa. Here is a pagoda built high up on a plug of rock with spectacular views out across the plains. There are some interesting statues and tableaus to see as you climb the several hundred steps – the downside is that you have to run the gauntlet of some not so friendly monkeys. Myself and my friends were almost in tears when we descended at sunset, especially because there are men strategically placed with slingshots to chase the monkeys away if they get too close or too aggressive – which in my book tells me that they are not nice monkeys, although the trip was worth the small price that I paid. Where to stay in Bagan. When it’s time for you to move on from Bagan take a day bus so that you’ll get the chance to see some of the surrounding countryside on your journey north to Mandalay. You can condense everything worth seeing in Mandalay into a couple of long days if you are pushed for time. If the weather is good on the afternoon that you arrive, take a taxi up to Mandalay Hill or to the U Bein teak bridge. From the hill you will get a good view of the city and hopefully a decent sunset and if the weather is on your side, some iconic photos of the bridge. If you have the stamina and you want to hit the best of Mandalay in one day start off by exploring the Palace. Although not the original complex, the palace has been rebuilt and as most of the buildings are empty it has an eerie atmosphere; and also because of the long walk up the driveway through the military enclave. To avoid trouble keep your camera firmly in your pocket until you get inside the palace and don’t forget to take along some identification or you will be refused entry. Before leaving the palace, climb the tower for views across the grounds and then visit the Shwe Nan Daw Monastery and the Kuthodaw Pagoda which contains the world’s biggest book; both are near the palace. Get off the main road and walk to both of these and you will see normal Mandalay life continuing in the leafy streets – with noodles drying in the sun and street sellers cooking up lunch in their woks. After lunch take another taxi and head off to the jade market. There is a small entrance fee here for foreigners but you might be able to avoid that if you’re lucky and dodge the collectors on the gate. The jade market feels like stepping back in time with traders buying and selling gems and haggling over coffee whilst craftsmen cut and polish using ancient tools. Follow the jade centre up with a visit to the gold leaf making centre where you can learn how this ancient craft continues and see how the gold leaf is beaten out by hand. The craftsmen here earn less than £5 a day for some very physical work which really puts things into perspective. If you want some context behind the history of the palace and how the Royal Family were forced into exile, read The Glass Palace by Amitav Ghosh Click on this link to order your copy of the book. There are many things to see and do around Mandalay if you have more time. You will be able to find a day tour of some of the historic sites and the old cities which surround Mandalay such as Sagain and Inwa through your hostel: or you could negotiate with a taxi driver and do it yourself. If you haven’t already visited the U Bein teak bridge this is well worth a visit – although as soon as I arrived the heavens opened! I opted to stay with the Ostello Bello chain again when I was in Mandalay. Run along similar lines to its sister hotel in Bagan this large hostel meant that I could get to know other travellers and I could go along on some of their organised and value for money trips. When you are visiting Myanmar you are not permitted to stay just anywhere so using one of the booking sites shows you the available options to you – Click here for accommodation options in Mandalay. Take a shared car for the quickest and most interesting route up to Hsipaw and also for the opportunity to experience Myanmar travel . The car will whisk you up the mountains and over to the charming mountain town of Hsipaw along a jaw-dropping road far quicker than the bus because it will overtake and undertake EVERYTHING wherever possible! Do this journey in the day time for the views and be amazed by the queues of lorries struggling around the hair-pin bends. There are numerous lay-bys where lorries and buses pull in and hose their brakes down with water and everywhere the air is thick with the smell of burning brakes and clutches as the hill takes its toll on these immense beasts. As you drive you will also get a glimpse of the impossibly delicate looking Goteik viaduct which spans the gorge at over one hundred feet in the air. Our driver over to Hsipaw fancied himself as a rally driver but apart from the fact that he was driving a right hand drive car on the right hand side of the road and every time he nudged out to overtake I would gasp, he was actually a truly competent driver and I thoroughly enjoyed the four hour adrenaline rush. In 1970 Burma switched from driving on the left to the right hand side of the road but many of the cars (and the road signs) have yet to catch up. Often, right hand drive cars are cheaper in Burma so there are still plenty of them about – the downside is that drivers have gigantic blind spots which makes the whole thing a bit of a guessing game. Up in Hsipaw the weather is normally a little cooler and more comfortable than anything that you will have come across so far and this small town is fast becoming a firm favourite as a trekking hub. There are many buildings which do more than ust nod at the colonial past – in some parts of town you could be in leafy Surry in England. Provided you arrive in time I suggest that you head straight out and visit the Shan Palace where you will get the chance to meet and chat to a real life Shan Princess and learn a little about the history of Myanmar from her. You will learn how the occupants of this grand home were kept under house arrest for many years and you will learn some of the facts surrounding the mystery of the Shan prince and his Austrian bride. If you want to read the background to this story you can order the book at this link: click here to order ‘Twilight over Burma: my life as a Shan Princess’. If you want to take a trek you must hike with a guide as it is currently not permitted to go too far into the surrounding countryside. 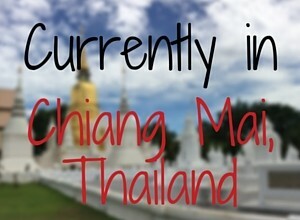 You can walk for one or two days, staying overnight in a home-stay in a rural village in the mountains. Meals will all be traditionally made – in my case over an open fire in the middle of the room – and you will get the chance to interact with local people. My trek ended with visit to the non-touristy hot springs where I bathed with the inquisitive locals who delighted in splashing me with the hot water, but many treks end with a swim to a waterfall. If hiking is not your thing you can arrange a motorbike tour instead – contact me for the name of a brilliant guide in Hsipaw. It is permitted to take a bicycle and ride around the town and the immediate countryside of Hsipaw where you can visit waterfalls or you can explore Little Bagan and poke around inside the dusty old teak pagoda. This travel day is worthy of its own entry. Take the iconic railway ride from Hsipaw to Pyin Oo Lwin and cross the jaw-dropping Goteik Viaduct. Take a picnic to eat on the train or even better, buy noodles from the ladies who jump onboard with their baskets on their heads at one of the stations that you pass. It is of course possible to go all the way to Mandalay on the train but better to break your journey in Pyin Oo Lwin and stay a night or two or even jump in a shared car for the dash back down the mountain. Your train will crawl across the viaduct which creaks alarmingly but the views are well worth a bit of stomach churning and if possible, do buy a tourist ticket so that you can ride on the soft seats. If you do the ride the opposite way up from Mandalay you will have a very early start so far better to do the trip in my direction i.e. from Hsipaw to Pyin Oo Lwin. I stayed at a lovely old hotel at Pyin Oo Lwin which felt like stepping back in history. We expected a taxi from the train station to our hotel so imagine our surprise when the driver that we had negotiated our taxi ride outside the railway station led us over to a century old horse and carriage. (the carriage was over a hundred years old, not the horse). After settling in to your hotel/hostel, borrow bicycles (If you stay at the Orchid Nan Myaning bikes are included) and head off to the traditional food night market where you can buy dinner on the go. Just wander around the stalls and graze on anything that takes your fancy. Hover and watch what the locals pay – but to be honest, very rarely did I come across any price-hiking for foreigners in Myanmar which is also a refreshing change. Depending on how much time you have left on your trip to Burma you can cycle (or take a cab) to the huge Botanical Gardens and/or you may prefer to take a motor taxi to one of the two waterfalls that are in this area. One waterfall is a hike away from where the bus or the taxi will drop you off, the other is easier to get to and has a market next to it where local strawberry jam, damson wine and hand knitted clothes are sold. To end your trip, its a long night bus back to Yangon or take a shared car (or continue on the train) to Mandalay. Note that the above route around Burma may be subject to change depending on the weather, the political situation or other elements outside of your control. When I travel I like to eat local food and I use local tour guides where possible. I prefer to stay in hostels so that I can meet people and while I was in Myanmar there wasn’t one day when I was lonely or alone. I am going to revisit Burma in the first half of 2018 so if you would like to come along with me, drop me a message. We will travel together staying mainly in hostels – the aim of the trip is to introduce you to Myanmar and also to the concept of backpacking and travelling on a budget. Following many requests and emails I occasionally offer my readers the opportunity to travel with me depending on where I am in the world and my clients that I mentor in my life-coaching business sometimes join me too. 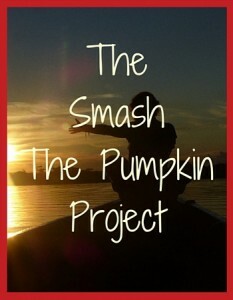 (If you would like to increase your self confidence or if you have issues with anxiety then travelling with me will also give you an insight into how I changed my mindset and how I learnt how to believe in myself again – Read more here – The Smash the Pumpkin Project). Good read thanks, I’m going on a solo 15 day trip in April, it’s my first time in Burma so the tips are helpful. I’m looking forward to Thingyan and new year in Yangon before heading to Bagan, Mandalay, Kalaw Trek to Inle Lake, back to Bagan. May drop Mandalay from my plans for another time depending on how I get on. I’m pleased that you found the article helpful. I trekked in Hsipaw rather than Kalaw but I am told that the Kalaw trek is also beautiful. I am sure that you will plan a return trip to Myanmar – the country and its people are wonderful. Hi Greg and thanks for taking the time to comment on my article. If you go back to Myanmar you will certainly see that things have changed but I really hope that you think that the people of Myanmar are exactly the same, friendly and generous as they were then. My guide on my Hsipaw trek was also outstanding – as was our homestay in the traditional village house. These experiences are why we both continue to travel and never fail to get bored of what we are living. The one change that you might welcome is the food – I loved everything that I ate in Myanmar – it was mostly simple, wholesome and bursting with flavour. Yes, this does seem like a perfect Myanmar travel guide and I’m keeping it bookmarked for the trip I hope to take there! I’m glad to read about your experiences because we hear so much about its potential dangers and it’s reassuring to know you felt safe. Your photos are beautiful and I love that you were able to travel slowly and really take in all the beauty and culture. Thx for the great post on Myanmar, Jane. It definitely looks like a multi-faceted destination. The monastery at Inle Lake looks intriguing! I have not been to Myanmar and I thought it would now is not the time to go especially with the Rohingya conflict. But the street food looks awesome and perhaps hot air ballooning would not be expensive there. On my next Asian tour! When I went to Myanmar we splurged and stayed at The Strand. I’ll never forget how they sent my son papier mache animals as a surprise gift. I really haven’t given much thought to traveling to Myanmar before. But your comprehensive guide gives me plenty of reasons to consider a visit. It would be great to travel with an expert (like you!) to make the most of the experience. I admit that the political situation (genocide?) in the Rohinga province has soured me on a trip to Myanmar. However, in case the situation changes, I am bookmarking your excellent guide. I agree with you Jane. Locals can be great whereas the government can be awful. A government and its people are two different things. Otherwise, no one would travel to the US, for example. That would mean condoning their countless war crimes, and all the dirty things they’ve done around the world since WW2, through the CIA, the NSA and so on. I love Myanmar and this is a great post highlighting all the great things about it. Although I love the gorgeous balloon rides (and have done them), there is so much more that this beautiful country has offered! Thanks for sharing your insights. My husband and I did a similar itinerary in Myanmar several years ago and couldn’t agree more with you about the people and the country itself. It’s such a terrible pity what is going on there now, and it is setting them back years within the international community. Myanmar is on my radar, so I was especially thrilled with your detailed information; not only what you experienced, but the information about the political state of the country, safety, etc. Thank you! !